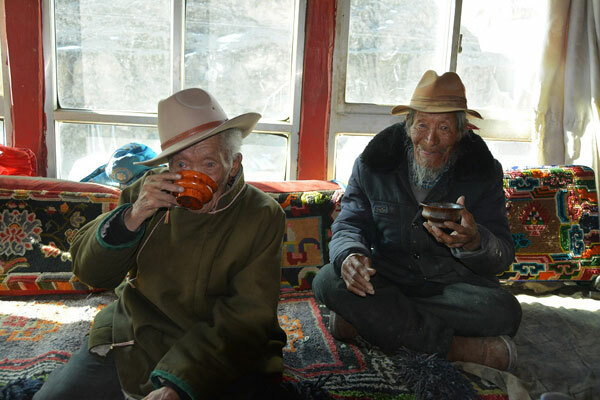 86-years-old Phurbu Dorje, male, born in 1933, is a villager of Bangri Village of Gyangze County's Rasog Town in Xigaze City. Before the democratic reform, all 13 members of his family have been serfs belonging to different manors. Phurbu Dorje has begun to do farm work with his father when he is 13 years old and has gained personnel freedom after the democratic reform. Now, his family lives a happy life. Reporters are warmly welcomed by Tseten Phuntsog, son of Phurbu Dorje. "We eat well and sleep well. We are keeping in very good health!" Despite his lean figure, the old man can hear and see well and has a loud voice. Phurbu Dorje says, "the old society was a real 'hell on earth'." "Before the democratic reform, we had to go to the manor before dawn to do hard labor, and could only go home after dark." "At that time, the autumn harvest was the most worrying time for my parents. After a year's hard work, they had to hand over most of the harvest to the manor owner. The rest of the grain was used to pay back the borrowed grain. So the next year we had to borrow food to live on. 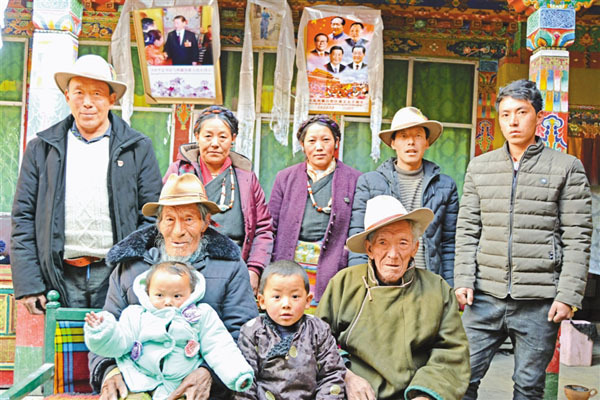 It was really miserable," Phurbu Dorje recalls.